The Episode starts with Mohini saying you will come with me. Doctor thinks its not right to talk to them right now. Mohini holds Anurag’s hand and asks him to come. He doesn’t move. Shivani rushes. Veena asks where is Prerna. Shivani says Prerna has called me, a college fest is going on, I will go to her. She goes. Veena says I think Shivani is lying to me, I have to go and check. Anurag says I don’t want to disobey you. Mohini says you won’t listen to me. She says just try to understand what I want, Prerna needs me, I can’t leave her alone. Komolika thinks Anurag went against his mum for Prerna. He says Prerna is my responsibility. She says your wife is your responsibility, Komolika. He says Prerna is my first responsibility and then Komolika, Prerna needs me. Shivani reaches the hospital. She thinks what shall I tell Anurag, shall I congratulate that he insulted Prerna and married someone else, or shall I thank him for leaving the party and getting Prerna here. Veena comes there and says I hope everything is fine. Mohini says you are leaving everything for Prerna, a day will come when she snatches your everything, you will be left with nothing, except betrayal. He says you aren’t understanding, Prerna’s fate is testing her. Komolika says I think he is saying right, he is a good person and feels guilty soon, he had insulted Prerna, maybe he is doing this to overcome his guilt. He says you can never understand my and Prerna’s relation, you just know business, our relation is about sacrifice. Mohini says I can’t bear this, you are insulting Komolika. He says I m not. She says you are insulting your mum and family, you didn’t understand that she wanted to break your engagement, I was going to die because of her, you just care for Prerna. He says I do care. She gets short of breath and faints. He asks what happened. He takes her to ward. Komolika says this Mohini aunty, I tell you, I didn’t expect this from Anurag, he got against his mum for Prerna. Mohini says I m fine, I just got bit dizzy. Anurag says this has been happening since a month, when she is stressed. Mohini says I m fine. She gets up. He says just take rest. Mohini asks Komolika shall we go. Komolika asks how will Prerna manage here. Doctor says her sister and mom are here, don’t worry. Mohini says its sorted, shall we. They leave. Anurag says I will take care of mum, doctor take care of Prerna. Prerna gets conscious. Shivani asks are you fine. Prerna cries and says I tried a lot, but I failed to stop his marriage, I thought I will beg him by keeping my ethics and ego, I couldn’t stop the marriage, I love him a lot, he is everywhere around me. Veena comes and says if you lie to me again, I will not spare you, its good I followed you and got to see Prerna’s real face, I feel bad seeing Prerna. She asks Prerna how can she be ready to beg for love. She asks did your self esteem die, they have nothing to give, why do you want to beg them. She asks her to get rid of the pain, women has much power, when will you do justice with yourself, you had loved Anurag truly, what’s the need to do this, never beg anyone for anything, never give up what you rightfully deserve, don’t bow down in front of those who have insulted you, stop crying, you have to get up and stand against those who are against you, I will proudly say that I m Prerna Sharma’s mum, you have to stop crying and have faith that no storm can harm you, someone left you, will you shatter, no, you are Prerna, our inspiration. She hugs Prerna and cries. Komolika’s aunt congratulates Anurag. Nivedita asks Mohini is she okay. Mohini says I wish I believed you earlier, its good Komolika and Anurag got married. Nivedita says Anurag still loves Prerna, I wish Navin and Prerna got married. Mohini says no, you can’t think like that. Nivedita says Navin would have kept Prerna way from us. Anupam signs Anurag. Anurag goes to him and asks is everything fine. Anupam says yes. Anurag says I was scared for Prerna. Anupam hugs him. Prerna thinks of Anurag’s words. She gets angry. She says I have to stand up against those who are against me, I will not beg for my rights, I will fight and not give up. Prerna comes to Anurag’s house and claps. Anurag and everyone look at her. She says you will find out everything soon, I have to ask Anurag something. 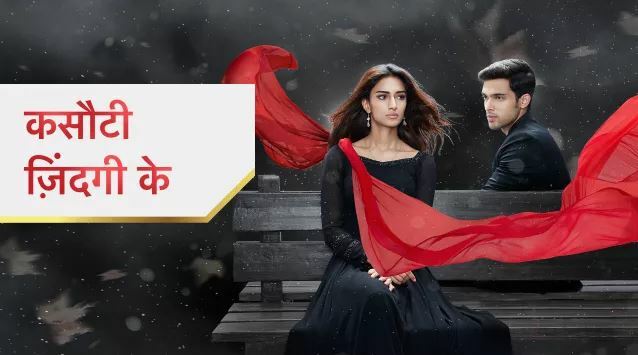 The post Kasautii Zindagii Kay 6th March 2019 Written Episode Update: Veena inspires Prerna appeared first on Telly Updates.